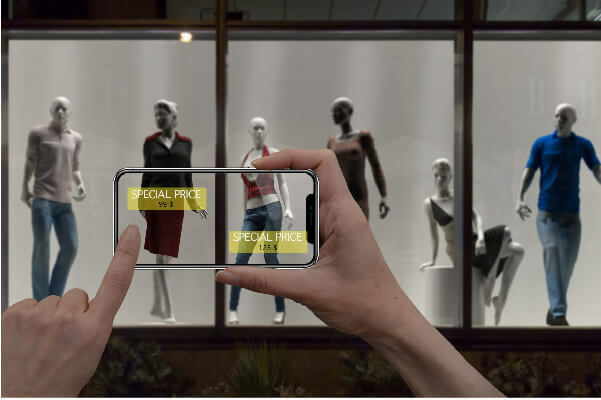 AR and VR shopping technologies are set to play a huge role in the way we shop, both online and in physical stores. Research shows that online ecommerce stores may be functional and efficient but do not provide and immersive shopping experience. Physical stores on the other hand, lack efficiency and functionality. Virtual and Augmented Reality might be the key to bringing the best of both worlds together. 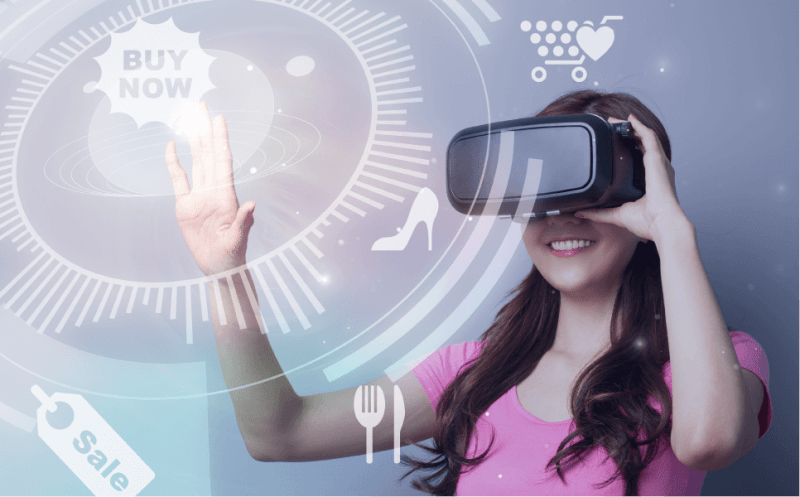 Brick-and-mortar stores can bring digital capabilities, and e-commerce stores can add a touch of immersive reality with VR. The primary hurdle to VR shopping currently is the cost of hardware, but this is changing fast! The rise of Google Cardboard, Google’s $79 Daydream View, and other low-cost, low-tech solutions means more and more people can afford VR headsets. The price of the top-of-the-line headsets like HTC Vive, Samsung Gear, Playstation VR, and Oculus is also dropping as R&D brings more technology advancements. Although funding and research into augmented and virtual reality is a long run game, there is exponential growth happening. Facebook and Google are heavily investing in VR as well as many Chinese companies. Facebook has their own VR platform available for retailers to use called Facebook 360. Chinese ecommerce giant Alibaba also launched retailer ready VR shopping solution Buy+. Technology advancements don’t just mean reduced cost of hardware. They also bring easier and cheaper content creation capabilities to AR and VR shopping solutions. This means more retailers will be able to allocate funding to experiential shopping experiences. As, the costs to create content continue to drop, we will see the technology become mainstream. Shoppers use headsets to enter a completely digital world from home or purpose built VR kiosk. In virtual stores, showrooms, and malls consumers can shop or view products as they would in a physical store. They can travel through your store and aisles, or in the case of a mall, from store to store. Shoppers can see detailed info about products, visualize them in 360 degrees, and ask questions from staff. Macy’s, Swarovski, Walmart, Amazon, and other giants are already providing rich virtual shopping experiences for customers. Tommy Hilfiger and Dior showcase new fashion lines with interactive runway shows. Many brands and retailers also offer amazing virtual ways to experience their products. Now you can try-before-you-buy without ever leaving home. Fashion brands offer trying on clothes onto a virtual image of yourself or avatar. NARS makeup lets you try on makeup using Facebook 360. 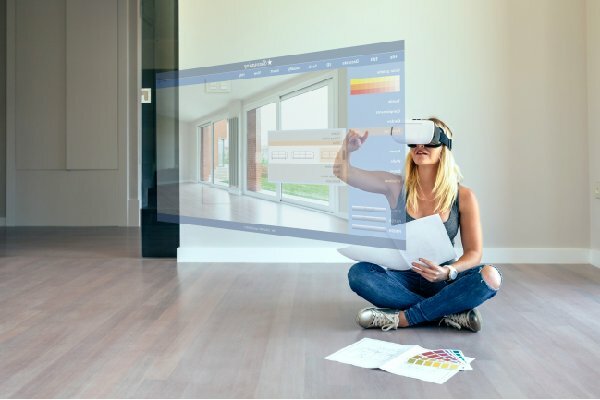 Lowes and Ikea let you plan home renovations or furniture arrangement, proving VR works great for large, expensive items. Car brands are now offering virtual test drives of cars. You can even experience a luxury, resort hotel vacation from your couch. Shoppers use camera-equipped mobile phones or other devices to get info or other content overlaid on a picture or video of the shopping space in a physical store. Lacoste offers AR experiences including letting you try on shoes and showing data on window displays, in-store signage, and promotional postcards. American Apparel’s AR app lets you pull up product information, customer reviews, and color options in-store. Timberland and other fashion retailers are also providing in-store virtual fitting room mirrors. These let you see what clothes would look like on your actual reflection. Airwalk used geolocation and AR to create an instant, invisible pop-up shop at specific locations. Shuup Ecommerce and Multivendor Software combine with NewDawn’s state of the art production capabilities to bring you Virtual Mall, the ultimate VR mall experience. Production is already underway and 3D filming has begun in partnering Malls and Gallerias. Using the latest in 3D capture cameras and other technology we are bringing you a fully interactive mall experience. Go store to store and examine products and rotate them 360 degrees. Get detailed info and purchase products with gestures and controllers. Contact us to see how you can get your own AR or VR shopping experience.